Only those who ensure the quality of their services at all times can be sure of it. Therefore, at KSK we have created a test infrastructure for carrying out almost all tests – from shade measuring to weathering in climate chambers – directly and in-house. This means that KSK covers most of the stress tests required by automotive manufacturers. We can provide technological quality tests from initial sample parts and requalification tests for series monitoring. 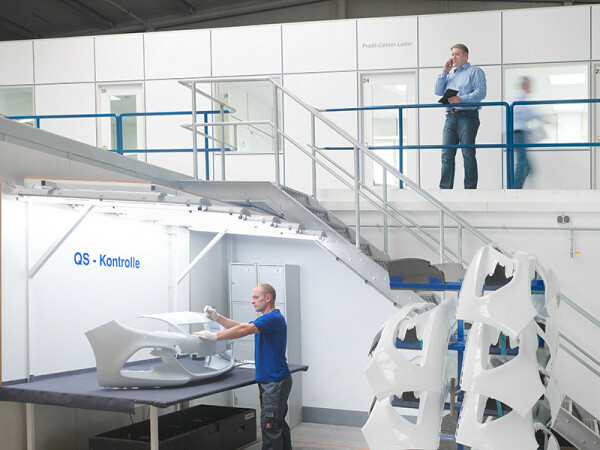 Quality starts much earlier at KSK: We already build the basis for quality during the project planning phase. Specifying processes and their parameters ensures the continuity of the sequences right from the start. The KSK quality standard is also reflected in its staff who are thoroughly prepared for their duties and consistently receive training and education. Permanent monitoring of the systems for their process parameters prevents mistakes. We ensure a consistent quality of deliveries by continuously checking the products. Customer satisfaction is the supporting element of our company policy. This is not just an empty formula but is systematically implemented and practised, not least as demonstrated by certifications according to international standards. KSK has been certified for years according to the ISO/TS 16949 standard for quality management, which is recognised by the international automotive sector. Our company values are further demonstrated by our certification according to the environmental management system ISO 14001 and the energy management system ISO 5001. Various customer audits and the Ford Q1 award complete these certificates.